So after a week or so of really perfect, beautiful spring weather, I find myself pottering around the house on a Sunday while it's pouring rain outside. Like Bill Bryson says, it looks as if the whole world is under tupperware- pretty much what you expect in England. 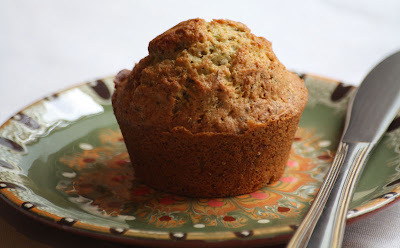 I have adapted ways of dealing with the sudden change from cherry blossoms and sunny pub gardens to murky, chilly air: I pull on a pair of big fuzzy socks and spend the day shuffling around in pajamas, making muffins. I have a few courgettes (that's UK-speak for zucchini. 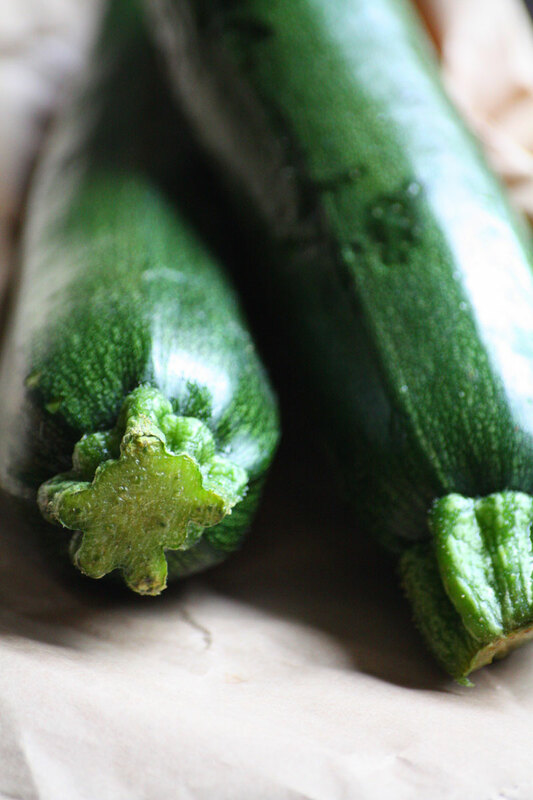 Actually, it's French, and zucchini comes from the Italian word zucchine) that have been knocking around since Monday's veggie box delivery, so I really need to do something with them. And one of my new cookbooks (thanks Snowy!) is Red Velvet and Chocolate Heartache by Harry Eastwood, which has the most wonderful veggie-based cakes and desserts in it, including one recipe for courgette and chamomile cupcakes. I'm intrigued by the idea of dumping tea bags into my baking, so decide to see what it's all about. I'm not following the recipe in the book, but am taking inspiration from the main ingredients. I'm also using honey in my recipe, so that it really feels like eating the muffin version of a cup of hot tea. First, whisk the eggs and sugar together until they look pale and fluffy. Then whisk in the honey and oil. In a separate bowl, mix the flour, baking powder, and baking soda evenly. Fold the flour mix, courgette, and chamomile into the wet mix until combined. 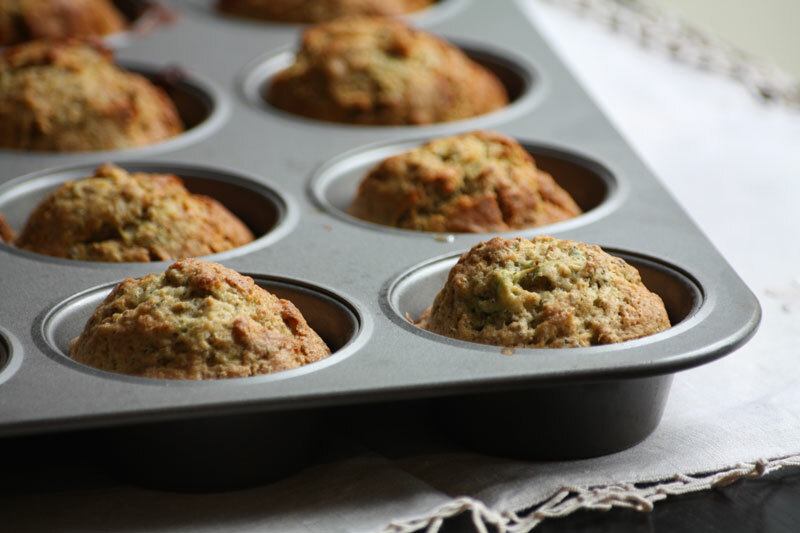 Fill a greased muffin tin with the mix, about 4/5 to the top of each compartment. Bake for 20 minutes in a 180C oven. These I may have to give a go, too. I have some loose tea from a local coffee shop - lavender and chamomile... that may work, and some frozen grated zucchini. I am sometimes fixated on carbohydrates - and no wonder with our Wisconsin weather this week, chilly and rainy. I am really enjoying reading your backlogs, and love your photography! I think lavender and chamomile sounds like a great combo. I've never cooked with lavender but I love how it smells- let me know how your muffins turn out. And thanks for the compliment, I really appreciate it!